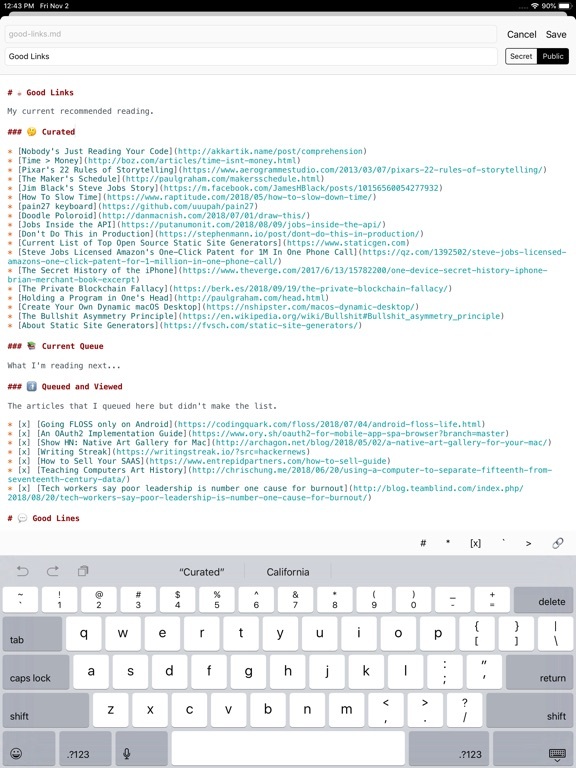 OctoNote was built for users who love writing notes in Markdown and who have a need to access notes from anywhere, easily share notes with others, and keep notes secure. 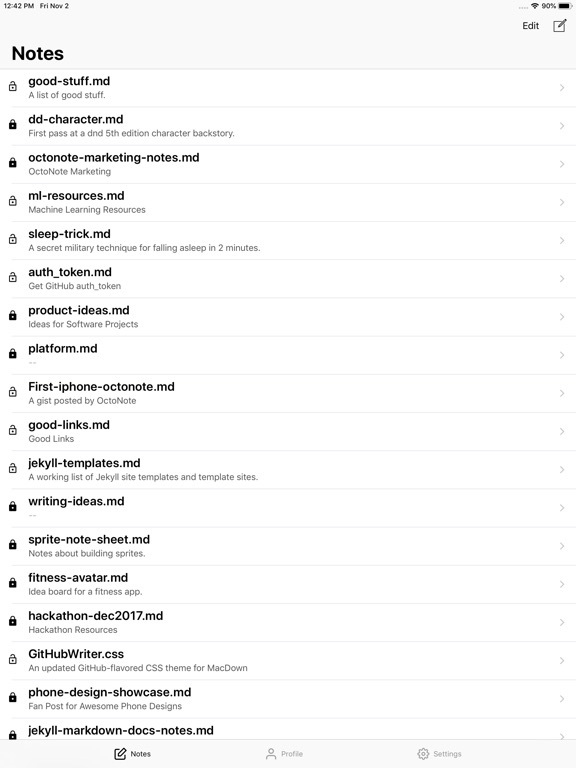 Using GitHub*, OctoNote harnesses the powerful simplicity of Gists to save your notes to your GitHub profile. 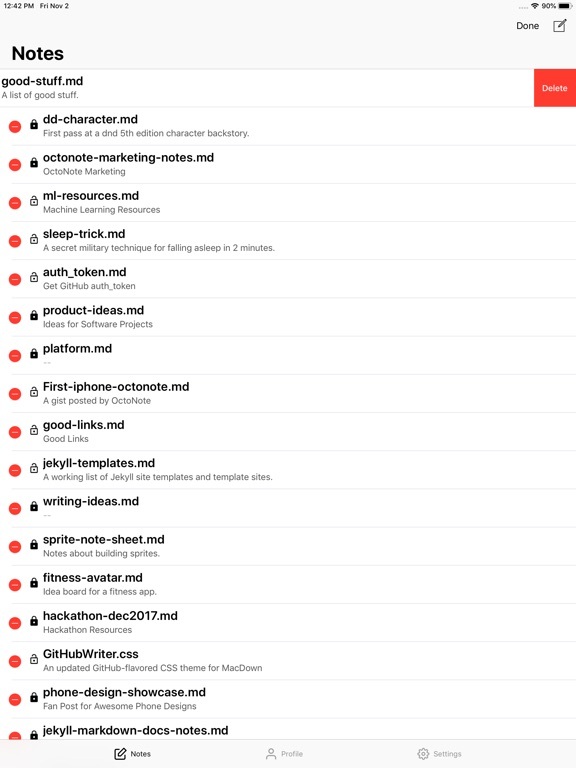 This means after you create or edit notes in OctoNote they are viewable anywhere through GitHub, and can be edited through the GitHub browser client as well. 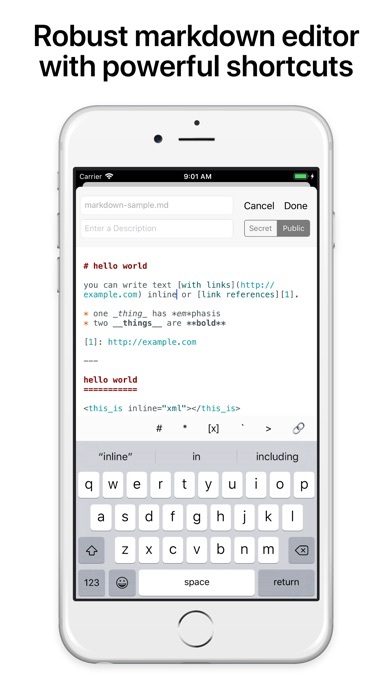 For developers, markdown enables robust syntax highlighting in code blocks, which is fully supported in the OctoNote rendered markdown view. 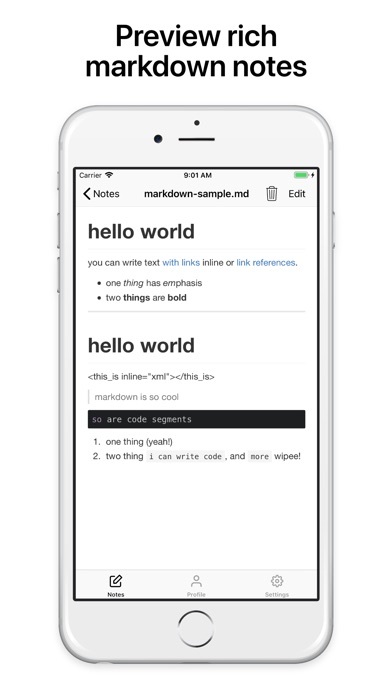 For everyone, markdown enables beautiful page rendering, making markdown notes like single-page websites unto themselves. 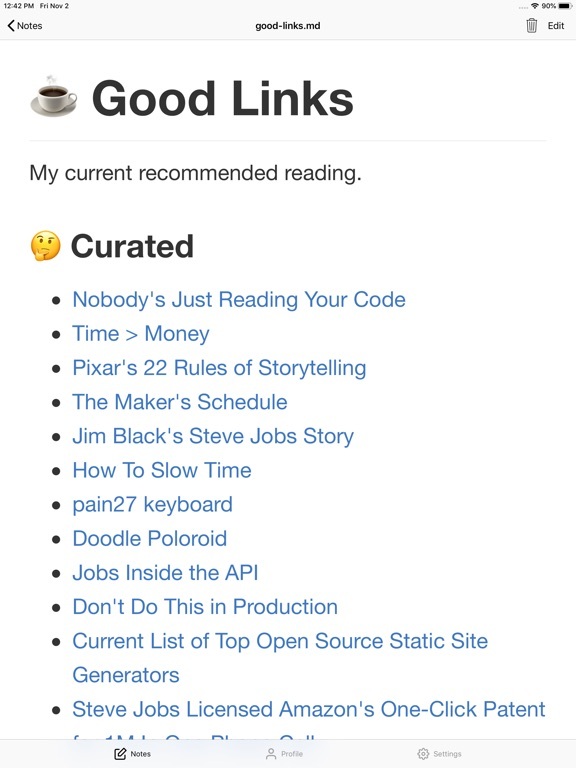 Easily share OctoNote notes in the app or by sharing the Gist URL to your note and enjoy the robust GitHub markdown rendering in the browser. 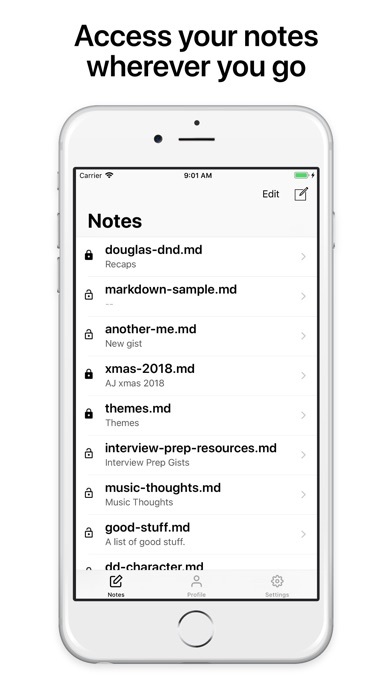 With OctoNote Premium, you can create, edit, and manage secret notes - notes that don't show up as public on GitHub or in search engine results. OctoNote uses auto-renewing subscriptions. OctoNote Premium subscription offer features tagged above as premium, like the ability to create and edit secret notes. Payment will be charged to your iTunes account at confirmation of your purchase. Subscription automatically renews unless auto-renew is turned off at least 24 hours before the end of the current period. Account will be charged for renewal within 24 hours prior to the end of the current period. 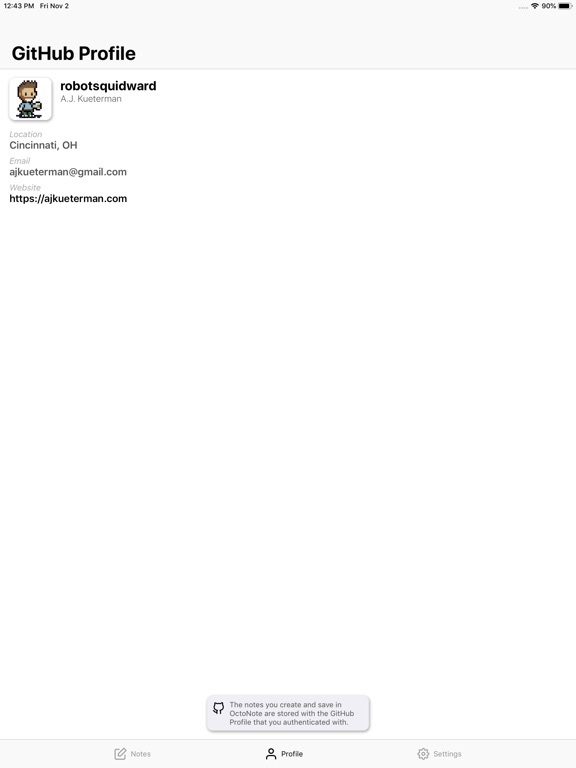 * OctoNote requires a GitHub account. All features of OctoNote - both standard and OctoNote Premium - are available to users with a Standard (Free) GitHub account. 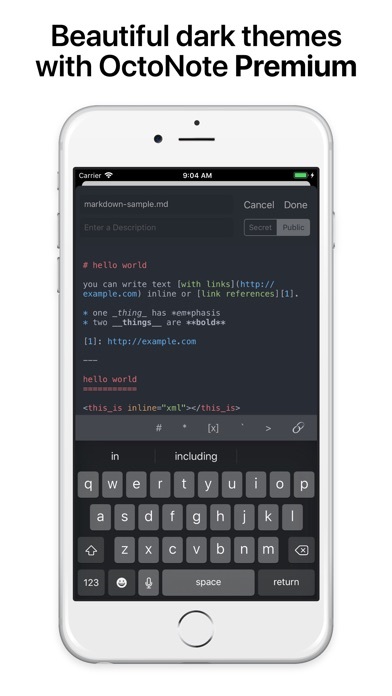 * Premium Subscribers - Customize your markdown editing experience with Themes! 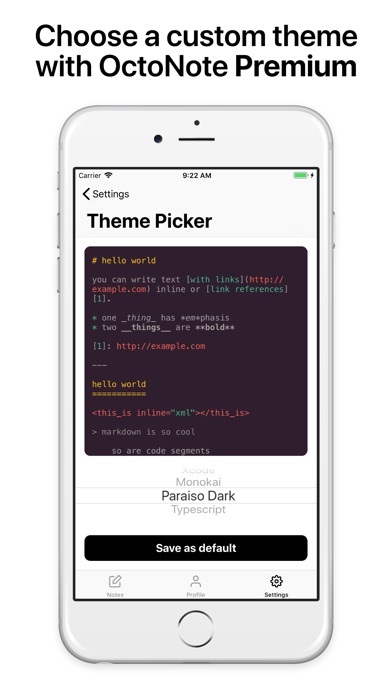 Choose from one of 11 different themes in your editor, from classic Xcode Light to Atom One Dark.